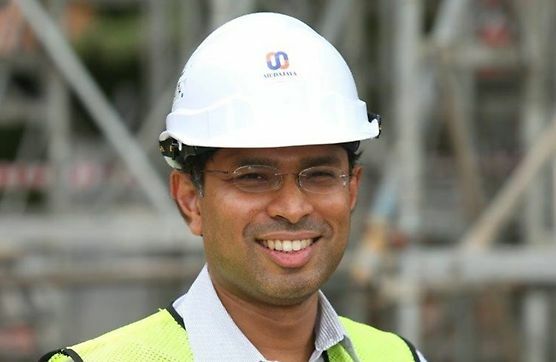 The RM816 million Mass Rail Transit (MRT) "V3 Viaduct" work package was awarded to Mudajaya Corporation Bhd with the task of building the MRT viaduct guideway and other associated works from Dataran Sunway to Section 17. The technically challenging task consisted of completing the construction within the shortest possible time in normal busy traffic conditions and without having to close off the roads. 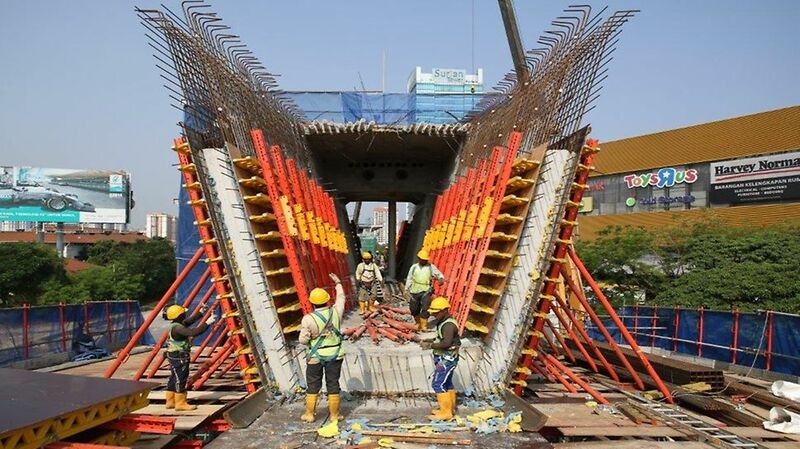 To speed up the construction progress, Mudajaya opted for the curved viaduct section to use shoring instead of the balanced cantilver system. The close co-operation with the PERI engineers led to best solutions, both technically and economically. Due to efficient assembly processes and optimized sequence of operations, the cycles are easy to achieve. 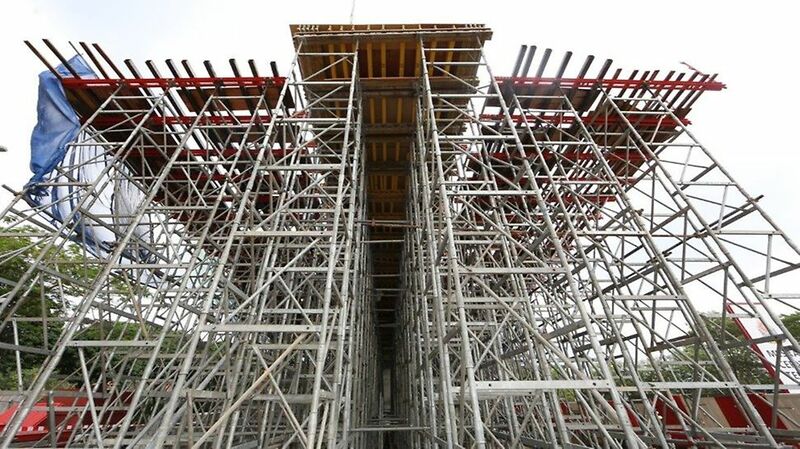 PERI supplied within a short time frame a very big amount of ST 100 shoring towers. 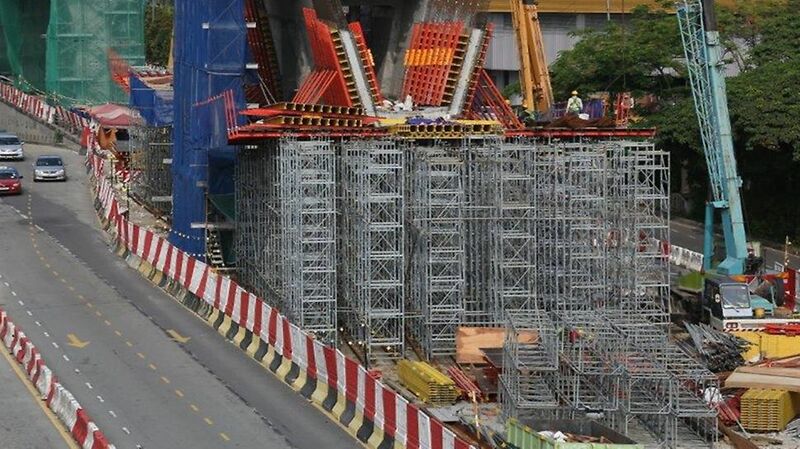 By the possibility to construct the towers horizontally on the ground and place them in position by the crane.